A very wise Tab friend once told ne to watch the gas guage, not the MPG and that I would enjoy my travels more if I did. He was right! That said, I'm running around 15mpg overall. 13 to 17. Depends on speed and headwind. I rarely check, but I've seen between 13 and 15 MPG, depending on speed, wind, temperature, AC use, etc. 2008 GMC Canyon, 32" tires, 3.7L engine. My 4.0L V6 Nissan Frontier drops from ~20 MPG to ~15 MPG. This topic comes up from time to time. ~15 MPG seems to be the sweet spot. Smaller vehicles with higher initial MPG seem to take a bigger hit when towing, so everyone lands in about the same place. 13-15, high of 17 with the 5.3L V8 Chevy Avalanche.....8-10 with the '72 1/2 Custom 10 Chevy P/U with a built 350 V8, but it's fun to drive...try to use THAT one on shorter trips! We have a [email protected] CS-S Max and are towing it with a MB GLC-300, and we get right around 15mpg. But then again, can you really trust VW re their diesels anymore? I'd live a diesel. I pulled my race car in 24' slopenose box trailer. Tv is/was '05 3/4ton dodge with the 5.9 Cummings. That thing PULLED!! I am considering the possibility of a 4bt cummings swap into my Jeep. Torque will increase dramatically, HP will increase modestly; just not sure of the MPG. i am glad to see that my tired 3.6litre jeep motor is generally in the hunt of new, younger power plants! ChanW, I found the post about the Jetta TDI in this thread, from Wizard1880, but he pointed out the major downsides, also. I have one of the 2014 Touareg V6 diesels involved in "Dieselgate." I'm keeping my car, VW is paying me money, correcting the emissions "cheat", and extending the warranty. You can find all the details on the fix online if you want the down deep details. It is a beautiful car. I had it for a year and a half before I bought the Tab, and even though I had factory towing packages on an Xterra and then the Touareg, I had never towed anything. The Touareg diesel gets 27-29 mpg without towing, and I'll just go with 20mpg average this summer with the Tab, mostly at a leisurely 60-65. On the flats in the desert with a massive tailwind I once got 23mpg. Up in the mountains to 8000-10000 feet in Colorado I maybe got 18-19. I can't be happier about a nice car towing a beautiful trailer and having a 500 mile range! And, now the lawsuits and the "corrections" have run their course, the 2015 model TDis are coming up for sale ( or are already up for sale.) Near as I can tell, they are selling quickly. "There was one Tab on here, pulled by a VW diesel..."
Chan, that might have been me, as well. Towed our older DM [email protected] with my 2005 (pre-cheat) 1.9L BEW-engined TDI Jetta Wagon. At freeway speeds, 65-75, I only got 18mpg, but under 60 I got a tad over 30mpg, and the [email protected] towed extremely well -- even being pulled by such a light car. As far as new diesels, after selling our beloved [email protected], we now have a 2015 MB Sprinter-based Roadtrek, with the Mercedes OM642 V6 3-liter diesel. I am continually amazed & befuddled (and often horrified) by the complexity --and number-- of controls required for emissions on a Blue-Tech diesel engine. And they're often flaking out, parts being replaced with "superseded" designs; as far as I can tell, this technology appears to still be in the trial-and-error phase. Remember the initial emission-control hit gas engines took, beginning in 1972? Took engineers & manufacturers about 20 years to get that straightened out, for the most part. Not sure if I'd consider a new diesel again, though they certainly are --still-- more efficient. 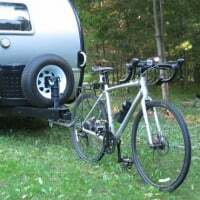 Our Roadtrek, at around 8500 lbs, still gets around 20mpg, even at highway speeds. My friend is having trouble with her diesel 2004 Cummings dually (Dodge). It got one very bad tank of fuel and hasn't been right since. Cleaned everything 5-7x, serious. The specs on optimum power on diesels are so tiny! I am in awe of the technology and the awesome gas mileage in the cars that are diesel, but geesh.... one thing goes wrong and it gets pricy. I guess as a first world problem, if one thing goes wrong in any of the newer vehicles, it's expensive! Either that, or the tech can't find anything wrong (like they didn't find anything yesterday with my truck - usb port going out). Geesh, just replace the stupid thing under warranty and call it a day. Why test it? Why wait for me to take a video of the problem? *sigh* Sorry, rant. 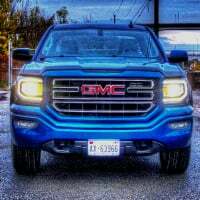 On a good note, the 2015 GMC Canyon pulls like a champ. The Nav system can't get you out of a paper bag though. I'm thinking of putting my motorcycle Garmin in the truck with voice on (something sthexy) and call it a day - or get a bigger phone and use Waze. Btw, I get 14.7 mph average around town, 23-27 mpg on the highway (Harvey has a lead paw). I get 12-13 mpg towing through piedmont and minor hills. Have not taken the big camper up to Shenandoah yet (3500'). I expect about 8 mpg! Wow. I have a '78 Bronco with a 351m and I get 8-10 on a normal day! I'd hate to know what it drops to when towing something! @blackc2004, Probably wouldn't drop any. I get about the same whether I'm towing, or not with the '72 P/U. There have been times when I actually get better mileage when towing with it....still haven't figured THAT one out! It looks like Ford may soon introduce a 3.0 V6 diesel into their Expedition for 2018-2019 (not yet confirmed). Unfortunately, Ford prices them the same or higher than the Audi diesels (?!!???) so we'll probably hang on to our Audi for now. BTW-- unloaded, of course, my Jetta wagon is the first car I've had since the Blazer that could actually accelerate -- briskly, if desired-- going up my long, steep hill to where I live. Diesels make fantastic towing machines. I was getting ready to suggest the 2018 Chevrolet Equinox diesel as a [email protected] tow vehicle in another thread, but I was surprised to find it was only rated for 1,500 LB towing. Clearly they were chasing MPG, not capability with the little 1.6L diesel engine. It kind of seems like they missed the mark though, since although the MPG is class leading, you pay a significant upcharge on the diesel. So, it is low on HP, can't tow much, and is expensive. I guess the driving range is nice, but the cons seem to outweigh the pros there. My sister said Ford is considering bringing back the Ford Explorer Sport Track, but only in diesel. She loves hers and has put a new engine and transmission it because she loves it so much. It's in like-new condition, just lots of miles. She also said that she doubts the diesel will come to the U.S. because of some sort of standards it can't pass. Don't ask me which because I have no idea. She really, really wants that diesel. Her BF wants the Jeep diesel that has been rumored too. The BEST feature of a diesel engine is torque, not necessarily horse power. To illustrate the difference: Torque is what gets you up to speed, and horse power is what keeps you there. Torque is what you need to pull. FYI. I understand torque and horsepower better than the average SUV buyer, as I have some education on the subject. My point is that if the Equinox diesel can't (is not rated to) tow any more than the base 1.5 L 4 cyl gas engine, despite it's large torque increase, that extra torque is not doing you as many favours as it seems like it should be. It's not like the tow rating is chassis limited either, as the optional 2.0 turbo 4 cyl gas engine can tow 3,500 lb. @rkj__, I swear, I cringe every time I see "turbo" in an engine description. I just see money floating away to the mechanic and me eating ramen noodles and pb&j from a spoon for more days than I want to! My wife's car has a small turbo engine. It drives so much differently than my N/A truck. Turbo lag is real. At idle RPM, you have a small displacement engine. But, when the revs climb, you really take off. With diesel the turbo runs at a much cooler temperature, and often last the life of the engine without drama. With gas engines on the other hand, you have higher exhaust gas temps and resulting heat stress. But, within the last few years, especially with Ford's EcoBoost, Hyundai and other automakers, the turbos are built tougher with modern materials, and as well the vehicles' engine controls keep the turbo temperatures and boosts in check. If you use the right oils (turbo usually requires full synthetic) and reasonable driving habits (avoid high turbo boost until the engine is warmed up), they should last just as long as any other engine.